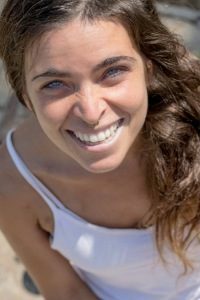 Originally from Spain, Luna has been sharing the Hridaya teachings informally since she first discovered them in 2012. 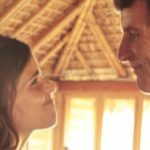 A profound fascination with the non-dual teachings and a burning longing to directly experience their truth led her to deepen her practice and join the Hridaya Teacher Training Course in 2014. She now teaches with the certainty that life can be lived from the Heart, in full openness, and with a loving desire for all sentient beings to reveal their real nature, to come into the fullness of who they truly are. 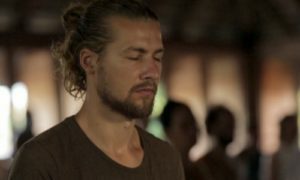 Luna participated in the 2015 49-Day Prathyabhijna Retreat, co-led a 30-Day Hridaya Silent Meditation in Guatemala, and is a beloved member of the teaching team at our center in Mazunte, teaching in the Hridaya Modules, leading 3-Day Hridaya Silent Meditation Retreats in Spanish, and offering workshops on Compassionate Communication. As she continues on the path, she welcomes the constant invitation to verify the certainty of the teachings through direct experience, emphasizing that the ultimate authority is the Heart. She continually finds the inspiration to live in a witnessing embrace of All That Is, in which a deeper Freedom and Naturalness arise spontaneously. She has discovered an intimate connection with a deeper dimension of Existence, an all-encompassing Trust in Life that inspires her to surrender more and more to the Self. She feels a sharper awareness and a greater capacity to abide in the Present Moment as it is.